So I will reassure the reader now that this whole post is not going to be about shepherd’s pie. But I quite often use shepherd’s pie as an illustrative point when I talk to social workers about ‘good enough’ parenting. We all have a pretty reasonable sense of what threshold criteria is – as a lawyer I have to look at a long chronology, or a semi-rambling email and find the bits that might actually amount to threshold. Social workers understand threshold criteria and what it looks like. That’s what you need to get the child into care. That’s what decides whether the Court has the legal ability to make an order. But what do you need to get the child back? Well, firstly, there’s a misapprehension that once the child is in care, the onus is on the parent to show they’ve changed, to show that they don’t do heroin any more, to show that the ex-boyfriend really is an ex, to show that they can keep on top of the housework. Remember that the burden is on the Local Authority, not the parent. That’s not to say that if the concerns in the case are about heroin, that you are going to be fine if you keep taking heroin (because you’re not). And then, the second misapprehension is about what is being looked for. Everyone hears and knows the expression – good enough. We’re not looking for perfection, we’re looking for ‘good enough’. My question, is where are we putting that bar of ‘good enough’ to see if the parent is above it, or below it? I’ve done this exercise before when training, and we can do it now. Imagine that you’ve got 1000 children, selected at complete random. How many of them do you think will be receiving care that’s not ‘good enough’ or better ? Do your answer firstly just on gut. Just what genuinely comes into your head. If you are honest, it is probably somewhere between 100 and 500. Because the expression “good enough” immediately makes you think about average, or below average. The anchor is immediately making you think about ‘good’ parenting. But ‘good enough’ care isn’t about the care being comparable to an average child’s experience, or even a below average. It is about the level of care that would mean that the child was suffering significant harm that wasn’t harm that could be realistically managed. Looking at the care demand by population statistics, the very highest area in the country, currently Torbay, would be in care proceedings for 2 of those 1000 children. There are a handful that would be nearly 2, but most of them would be 1 or less than 1. Of a million random children, somewhere between 100 and 230 children would be receiving care that was below good enough. If you said 1 or 2 out of 1000 as your gut answer, either congratulations, or you are a liar, or you have heard me do this routine before. I’ve worked in many authorities (my current one is not that fixated about it) where the parenting assessments used to feature prominently an attempt to teach the mother how to cook shepherd’s pie from scratch (see, we did get back to it). Go to the shops, buy the ingredients, cook a shepherd’s pie. It can be quite a nice exercise – it gets the children a nice meal, home cooked and full of good stuff, teaches a parent about planning, budgeting, organising, making time to do something. I can see why people do it. But line up those 1000 children again – how many of them didn’t get a homemade meal yesterday? Or over the last week? 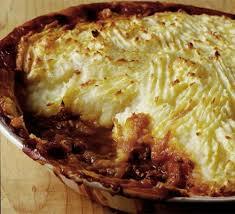 It can’t be a barometer of ‘good enough’ care, whether someone can cook a shepherd’s pie from scratch. It is nice, it probably improves the child’s life, but that’s not a test of ‘good enough’ – a parent’s case doesn’t become not ‘good enough’ because they give their kid oven chips and Crispy Pancakes rather than homemade shepherd’s pie. And if you are wincing at the idea of a child eating that sort of food, ask yourself how you would feel about a child (or an adult) eating Marks and Spencer’s Chicken Alfredo ready meal, or Tesco’s Finest Boeuf Bourguignon? It isn’t better, just because it is middle-class. Neither of them are home cooked, both of them are made in ways that you wouldn’t really want to think about. Of course we want children to eat well. Of course we want a balanced diet with all the food groups, and five a day, and lots of fibre. And of course children who eat crap aren’t going to have such a good quality of life as the ones that do eat well, with parents who make them food from scratch. It just isn’t that relevant in assessing good enough parenting, that’s all. The other classic meal that we try to teach parents to make from scratch is spaghetti bolognaise. We’re really into mince in a big way. The thing about ‘good enough’ care being the test is that it is massively subjective. Someone – a lawyer, a social worker, a Guardian, a Judge, is thinking about ‘good enough’ care and what they are doing it is comparing the parents care, or how they think the parents care would be, against their own notional idea of what ‘good enough’ care would be like. If those people don’t even agree on how many of those random 1000 children would be receiving care that wasn’t ‘good enough’ or better, then how do they do the next bit which is imagining what care that is not ‘good enough’ would be like? And your anchoring of what ‘good enough’ care is like is probably comparing what this child’s home might be like with ones that you know – your home, your home as a child, the home of the friend that you had where you never wanted to stay for dinner… If you are thinking that this child’s home won’t be as nice as those, even the bad ones, then you have a bar that is too high. I prefer, to be honest, to use the term ‘barely adequate’ rather than ‘good enough’. Of course, nobody wants to talk about the outcome for a child of care proceedings being that they go back home for a life that is’barely adequate’ – it feels like we’re letting the child down, like we should have fixed more of the problems, that things ought to be radically improved by the end of care proceedings, not just a smidge better than when we started. I completely get that. And there’s nothing wrong with aspiring to do those things – there’s absolutely nothing wrong with ending the case with a mum who DOES know how to cook Shepherd’s Pie from scratch. It is just that she doesn’t fail to be ‘good enough’ if she can’t do it. If we put the bar of ‘good enough’ at home cooked meals from scratch, we’re asking parents to pole vault over that bar, when the reality is that the bar is a really low limbo bar that they just need to step over. And if you want to know whether the parent is above or below the bar, it really does help to know where that bar is. Posted in assessment of risk, social work and tagged assessent of good enough care, good enough, good enough care, parenting assessment, social work assessment, what is good enough care, y v united kingdom 2012. Bookmark the permalink. Firstly let me smugly say I guessed at 3. I have been longing to share the following so thanks for the opportunity. I originally got involved with social services because I needed respite care for a child that needs an adult with them all the time and I didn’t have a support network so was exhausted. Guess what no help offered but apparently a parenting course would put it right. So a social work assistant came to talk to me about nutrition,however the scenario was what would you eat if you where on a desert island, Well I said fish, perhaps coconuts, local vegetation, perhaps seaweed which contains minerals. As you can imagine this took up at the most 10 minutes, but she had an hour to kill, so asked my son as well. She then apologised,said this is the way they were doing it now. She spent the next 40 minutes talking about her grandchildren. I can actually cook shepherds pie and in fact my children nearly always had a meal cooked from scratch and we sat around a table to eat it. They ate fruit every day.They don’t now they are under care orders. Well Andrew I agree with every word .Mark the occasion as it is unlikely to happen again for a bit ! 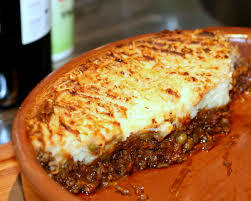 Realistically, the only way to tell if the shepherds pie is any good, is once it is eaten, taking into consideration, that all taste buds are different. “But what do you need to do to get the child back? Never has there been a greater disparity between theory and practice. I would love to learn of any successfully decided cases to discharge a care order. You might argue that these cases should be the norm rather than the exception and that’s a reasonable argument to make. There aren’t many reported cases on discharge of Care Order (but remember that in those cases, the parent becomes the applicant, so the burden is on them to prove that the order should be discharged, rather than on the LA to prove that it is still needed. Also, there’s no automatic legal aid for those cases, and they tend to be either agreed or to fizzle out.) So I suspect that you are right, that there aren’t many reported cases of successful applications to Discharge Care Orders where the application is opposed. hmmm not sure whether to be proud or concerned …. Simple Question, what do you do for a parent when you have tried everything imaginable and it still is not enough to persuade the Courts to return the kiddies?, even though parenting has not been in any doubts and that it is higher than adequate! Maybe I will bake a pie for the Judge, not quite sure it will be shepherds though last time I tried to cook a shepherd I got some awful funny looks. I’m not sure that ‘good enough’ can be correlated to ‘significant harm’. Winnicott’s ‘good enough’ definition has been so influential in the development of theories about and understanding of human development in early years, and has become a slightly misquoted and misunderstood ‘peg’ on which much is hung (just as the idea of ‘attachment’ is frequently misunderstood and misapplied). ‘Good enough’ has also become a term which is applied well outside of its original definition, which related to the mother and baby bond, and the mother facilitating the baby’s developing sense of self as an independent person. Surely threshold should never look at whether parenting is ‘good enough’. It should only look at whether there is ‘significant harm’. And the really difficult point is what counts as ‘significant’. Those of us parented in the last century under the influence of Benjamin Spock’s ideas (rather than Winnicott’s and Bowlby’s) will have come out of our early childhood with anxious/insecure attachment style as the norm. We will have suffered harm, even though our parents were doing their very best; but although it was harm, it was not sufficiently significant to warrant removal from our parents’ care. That’s the issue, surely? There are many children who suffer harm at the hands of their parents; those cases which end up in care proceedings aren’t looking at whether the care is not ‘good enough’ – they are looking at whether the harm caused is significant. Yes, I think that we are. And you’ve put it extremely well. Good enough as a legal construct comes (for me) from Hedley J’s judgment in Re L, which sets out very neatly and eloquently, that it isn’t the job of the State to ensure that all children receive a good childhood, just to protect those children who are receiving one that would significantly harm them. I guessed 5! – but perhaps I guessed where you were going. Often I have in mind “scruffy but ok. Not hungry and not unhappy”. I want to think further about this aspect of significant harm because to me it is a link with the earlier post about composite threshold: to me that’s what the point of it all is. Does it perhaps come back to Ryer’s case analysis and the key elements that we now put into the much loathed but perhaps also useful CMO? Surely (and please be tolerant because I’m thinking this through) there has to be a link between the sig harm that the court finds has happened or is likely to happen, through whether or not it can be addressed, to whether the child can remain at or go home? and that final bit looks at whether or not the parenting is, or can be in short order, good enough? This of course links to the points that others have rightfully drawn attention to in the past, about trotting out the opinion that “this child requires more than good enough parenting” without further analysis. I realise I must be missing something very obvious..
Dear Norma, no I think that you are correct. In Re B, Lady Hale draws a clear parallel between the nature of the harm suffered or said to be likely to occur and the type of order that is made, and that must, when you think about it be at the heart of ‘proportionality’ which is the Y v UK and Re B theme. If you are deciding whether X or Y is a proportionate response, then the facts that are established have to be a major part in that. Which is why concessions about threshold and clarity about the significant harm decided can be so important.